It’s going to be difficult to get through to the drinker who doesn’t feel they’ve got a problem. The reasons why it’s bad to drink too much for our health are plain enough (page 6), but until the body shouts ‘no’, who’s going to take any notice? Our drinking habits are usually inextricably bound up with seeing friends, relaxing at home, forgetting work, having a good time. How does suddenly monitoring your alcohol units fit in with that, if you like a drink? I have no answers, but it seems to me that clear and consistent information would be a start. For instance, a story in this week’s Independent, referring to the updated alcohol strategy, says: ‘It will be aimed at people who regularly drink two bottles of wine a day at home. Caroline Flint, the Health minister, said there were adults who were drinking twice the recommended safe level…’ Might the reader assume that it’s OK to drink one bottle of wine a day then? I’m not suggesting for one minute that we have any control over information in the national media, but it strikes me that information campaigns need to be consistent. Why, for instance, base calculations on 9 per cent alcohol by volume (ABV) when most bottles you buy are around 12 per cent? One of the most helpful calculators I’ve found in this regard is the Drinkaware Trust site, at www.drinkaware.co.uk, which lets you tot up units in main brands without any aggravation. 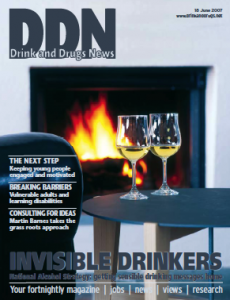 OK, the Trust is funded by the alcohol industry, but it has active backing from respected alcohol experts and is a practical example of arming the drinker with information. It will be interesting to see how the public information campaigns roll out. I’ve yet to see anyone checking their units on a laptop in the pub, and I’m wondering how the unit labelling system will work on drinks served without bottles… flags on cocktail sticks in our pints perhaps?